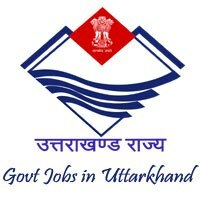 UDRP Jobs Recruitment Notification 2018.Uttarakhand Disaster Recovery Project inviting applications for the positions of Deputy Manager ,Assistant Engineer ,Accounts Officer, Junior Engineer & Other Posts on deputation or Contract Basis.Interested and Eligible candidates can apply for the positions. The salary will be ranging from Rs.30000 /- to Rs.100000/- per month for the Deputy Manager ,Assistant Engineer & Other Post. The Applying Process will be based on Offline Mode for UDRP. 26th November 2018 is the last date to apply. http://ukdisasterrecovery.in/ is the link to apply online.